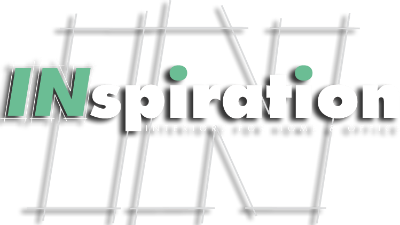 We are excited to introduce to you the most recent jewel to our INspiration interior collective:Val Design Italian Kitchen and Bath Cabinets and ALF Da Fre’ Home Collection and Walk-In Closets. The integration of our new full-service INspiration Design Studio allows us to create the spaces that you have always dreamt of and never thought imaginable. With these modern collections comes a wide variety of door-style options, finishes, colors, accessories and functions. Our team of designers will work with you to create the best possible space and design for the project from start to finish. Let us help you embark on this journey of transforming your lifestyle and creating a living space that will enhance, empower and inspire you to live your best everyday! Val Design Italia cabinetry is a fashion-forward collection of kitchen, bath and home concept elements embraced by modern design. The collection offers the latest and greatest of finishes, from matt and high gloss lacquer to wood veneer surfaces. The ensemble of accessories that include LED lighting integration, touch mechanism door operation, aluminum faced shelving, glass bottom drawer systems, and chrome pull out pantries, create for better storage and functionality in a kitchen. The combination of the sleek lines of Val Design cabinetry with the integrated appliances create the perfect modern kitchen. Innovation continues to be part of the production culture at ValDesign and ALF Da Fre. Unbound creativity, environmental conscientious manufacturing, and a flexibility of design elements are what make these products representative of the “Made In Italy” quality standard. These are all basic characteristics for a company continuously facing the needs of an international clientele. The huge selection of dynamic door styles and production materials and are high quality products of beauty and function, created to guarantee long-lasting reliability.